Christie, C (2014) Coming to America 2 (2010). In: Small is Beautiful, Flowers Gallery, New York, 20 November 2014 - 10 January 2015. Christie, C (2014) It's just quite beautiful. Christie, C (2014) When Dreams Become Promises. Updown Gallery, Ramsgate, UK, 7 June - 6 July 2014. Clarke, R (2014) Accidents will happen. In: We Could Not Agree, QPark, Cavendish Square, London, 13 -19 October 2014. Clarke, R (2014) Neighbourhood Watch [group exhibition]. JW3, London, 26 May 2014. Clarke, R (2014) The Record Player Orchestra at Supernormal Festival. In: Supernormal, Braziers Park, Oxfordshire, UK, 8 -10 August 2014. Clarke, R (2014) The Record Player Orchestra. In: The London Analogue Festival, Oxo Bargehouse, London, 12 -14 September 2014. Clarke, R (2014) 'Untitled' and 'The Record Player Orchestra'. In: Chinese Open 2014, QPark Soho, London, 9 - 10 February 2014. Clarke, R (2014) The deadliest toxins (2009). In: The Big Deal Marvellous MixUps x1, Loud and Western, London, 10 - 25 July 2014. Clarke, R and Chamberlain, S (2014) The Record Player Orchestra and Sellotape Cinema. Vivid Projects, Birmingham, 4 July 2014. Cockayne, A (2014) Angela Cockayne: solo exhibition. 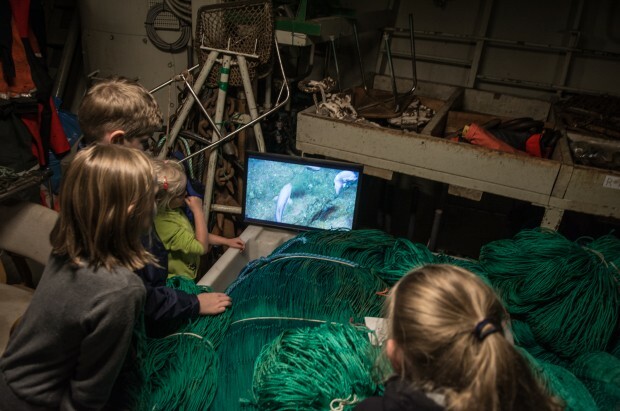 In: Bournemouth Arts by the Sea Festival, Bournemouth Natural Science Society (BNSS) & Museum, 11-12 October 2014. Crumplin, C (2014) Into and out of abstraction. Lubomirov-Easton, London, 26 April - 21 June 2014. Dalwood, D (2014) Artist’s artists: Dexter Dalwood on Titian’s Noli me Tangere. Frieze Masters Magazine, 3. Dalwood, D (2014) Ian Curtis (2001). In: Paintings: 30 Years of FRAC Champagne Ardennes, Musee d'art moderne, Troyes, France, 23 June - 29 September 2014. Dalwood, D (2014) London Paintings. Simon Lee Gallery, London, 18 November 2014-24 January 2015. Dalwood, D (2014) Robert Walser (2012). 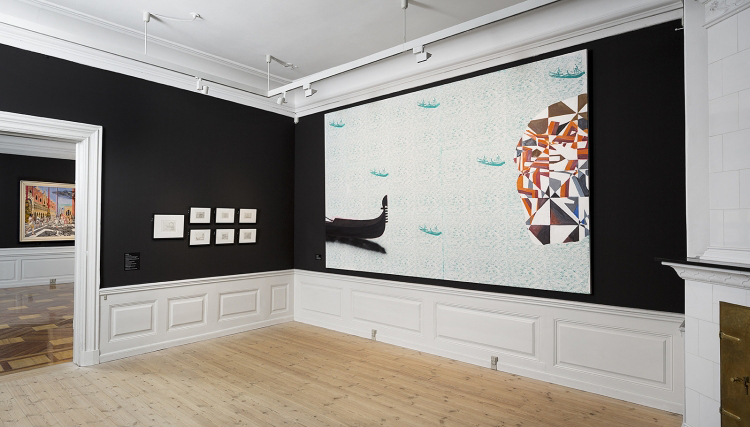 In: Paying No Attention I Notice Everything: Robert Walser and the Visual Arts, Aargauer Kunsthaus, Aarau, Switzerland, 10 May – 27 July 2014. ISBN 9783716517963 Please click the title to check availability. Dalwood, D and Schutz, D (2014) In conversation: Dana Schutz and Dexter Dalwood. In: Dana Schutz, 16 January 2014, Hepworth Gallery, Wakefield. Dunseath, J (2014) Collaborating with Caro [conference report]. Henry Moore Institute Newsletter, 116 (Nov.). Dunseath, J (2014) From growth and form. In: Richard Hamilton, Tate Modern, London, 13 February - 26 May 2014. Dunseath, J, Ayling, N, Bax, O, Black, H and Wallbank, J (2014) Making sculpture: views from the studio. 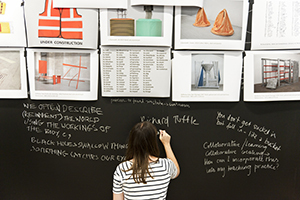 In: Collaborating with Caro, 10 October 2014, Central St Martins, London. Dutton, S (2014) Institutional aesthetics: art takes residence. In: 9th Annual International Conference of the Arts in Society: "The Lives of ART", 25 - 27 June 2014, Sapienza University of Rome, Rome, Italy. Dutton, S (2014) Towards an office of institutional aesthetics. In: Art and Research at the Outermost Limits of Location-Specificity, 13 -14 November 2014, Parsons School, New York, USA. Dutton, S and Curtin, B (2014) Possession (2) [curators]. Lanchester Gallery, Coventry, UK, 14 March - 13 April 2014. Fatehrad, A, Burgin, V, Richon, R, Mavor, C and Wilson, C.J.R (2014) The production of images. In: So Far/So Good, 10 - 11 January 2014, Royal College of Art, London, UK. Glen, N and Doern, K (2014) Bath Spa University - developing an interactive visitors app [web page]. Jisc mobile learning guide. Harman, W.H (2014) Laura's eye & Laura banana. In: Laura's Place, 44AD, Bath, UK, 27 June - 6 July 2014. Harman, W.H (2014) Rose petal & Taiwan, dolphin, banana & My homeland - Taiwan. In: Materiality, 44AD, Bath, UK, 22 - 27 July 2014. Harman, W.H (2014) Taiwanese culture identity: object, smell, time. In: Fireworks Now! Ceramic Symposium, 26 - 27 June 2014, Aberystwyth Arts Centre, Aberystwyth, Wales. Harman, W.H (2014) Untitled. In: Art on a Postcard, Whitfield Fine Art, London, UK, 11 -13 November 2014. Harman, W.H (2014) The sculptural spoons. In: Muse: The Collection Inspires, Holburne Museum, Bath, UK, 10 - 24 October 2014. Harman, W.H (2014) The white bananas. In: Annual Open: The 30th Year, CGP London Gallery, London, UK, 26 November - 14 December 2014. Harrison, K (2014) Artist talk with Keith Harrison. In: Visual Arts Visiting Artist Lecture Series, 28 October 2014, Camosun College, Victoria, Canada. Harrison, K (2014) Bustleholme: site and sound. In: SITE: Situating Ceramics Colloquium (CARCuos), 9 May 2015, Ceramic Arts Research Centre, University of Sunderland, UK. Harrison, K (2014) Keith Harrison: artist presentation. 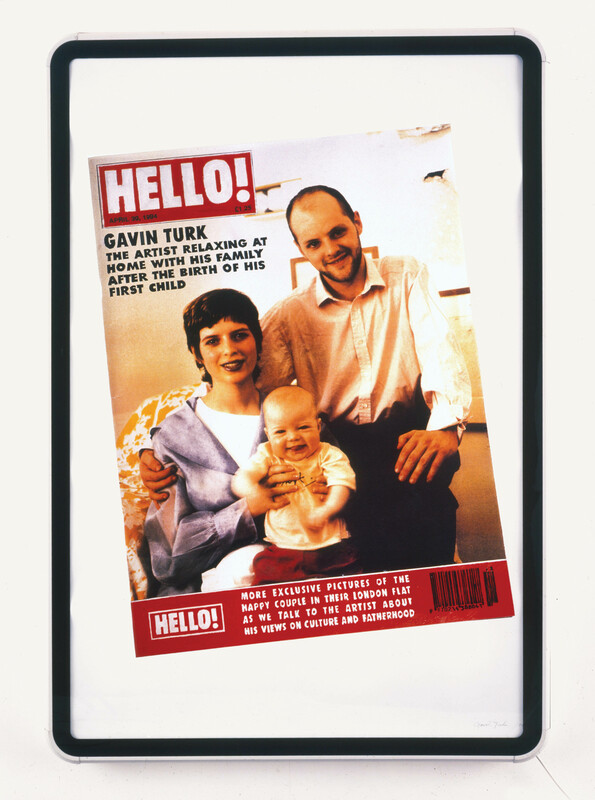 In: Intervention: Artists Working in Museum and Heritage Settings, 29 January 2014, M Shed, Bristol, UK. Harrison, K (2014) Keith Harrison: secondary modernism and disruption. In: Sheridan Ceramics Presents..., 13 March 2014, Sheridan College, Ontario, Canada. Harrison, K (2014) On subversive ceramics: Keith Harrison in conversation. In: Futurkammer, 7 - 15 June 2014, The Holburne Museum, Bath. Harrison, K (2014) A morning with Keith Harrison. In: CAA (Cranbrook Academy of Art) Lecture, 10 March 2014, Cranbrook Academy of Art, Michigan, USA. Head, A (2014) Stories on walls. In: ISEA 2014, 30 October - 8 November 2014, Dubai, UAE. Head, A (2014) Text and Texture. 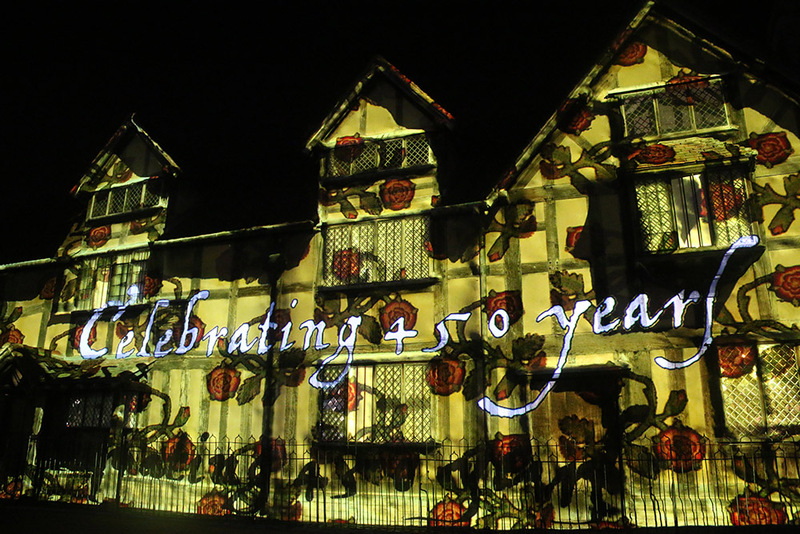 In: Shakespeare's Birthplace Lightshow, Stratford upon Avon, UK, 27 November-14 December 2014. Hong, Y (2014) '5100: Pentagon' & 'Silent drum'. 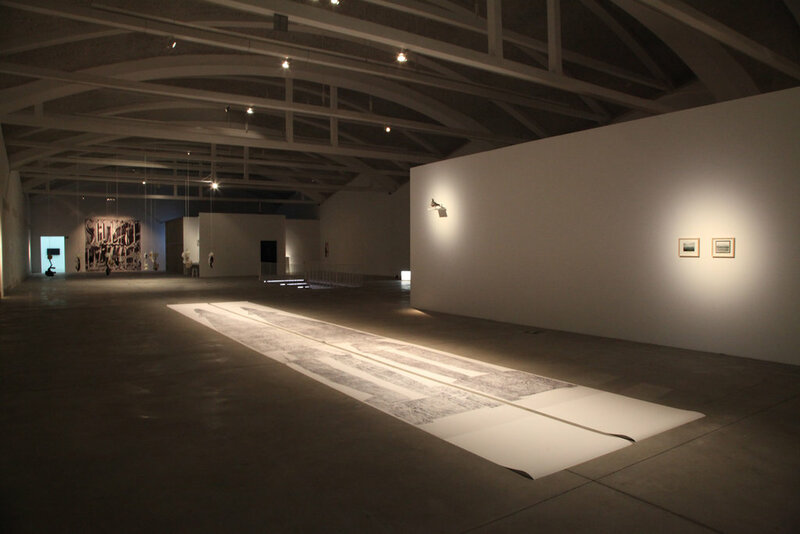 In: Burning Down the House - Gwangju Biennale 2014, Gwangju, South Korea, 5 September - 9 November 2014. Hong, Y (2014) Image Unidentified. Art Sonje Center, Seoul, South Korea, 1 March - 30 April 2014. Hong, Y (2014) Let us dance. In: Spectrum Spectrum, Plateau Museum, Seoul, Korea, 4 July - 12 October 2014. Howard, R (2014) Artist talk. In: Bluecoat Display Centre Artist Talks, 23 September 2014, Athenaeum Club, Liverpool, UK. Howard, R (2014) Artist's talk on Red Work. 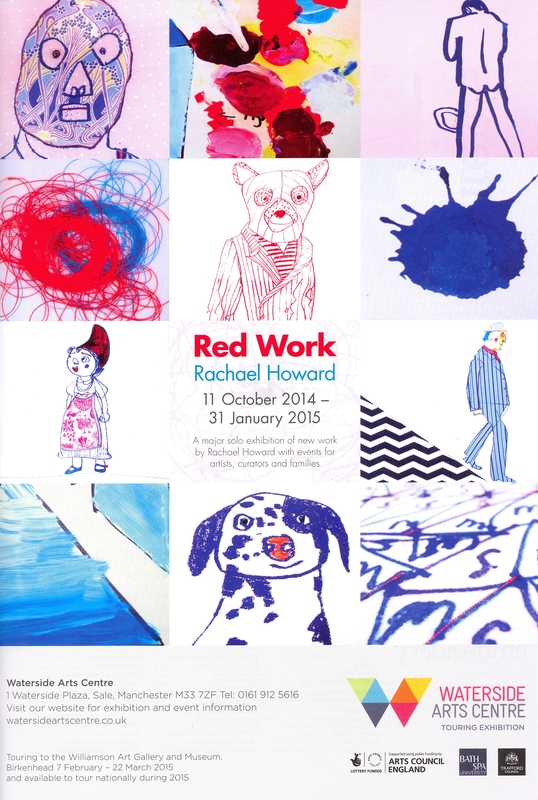 In: Red Work, Rachael Howard, 27 November 2014, Waterside Arts Centre, Manchester, UK. Howard, R (2014) Ebb and flow 62 [group exhibition]. In: Ebb and Flow, Heritage Centre, Grimsby, UK, 9 September - 2 November 2014. Howard, R (2014) Found friends [solo exhibition]. CIT Crawford College of Art, Cork, Ireland, 7 - 14 April 2014. Howard, R (2014) Music makers [group exhibition]. Bluecoat Display Centre, Liverpool, UK, 20 March - 3 May 2014. Howard, R (2014) PSS workshop. In: Making an Impact, 28 March 2014, PSS, Liverpool, UK. Howard, R (2014) Red work [solo exhibition]. Waterside Arts Centre, Sale, Manchester, 11 October 2014 - 31 January 2015. Keyte, J (2014) Hardware Hopes. In: Manchester Mini Maker Faire, Museum of Science of Industry, Manchester, UK, 26 July 2014. Keyte, J (2014) The alternative history of a Victorian washstand set. In: ICDHS 2014 : Tradition, Transition, Trajectories - Major or Minor Influences?, 9-11 July 2014, Aveiro, Portugal. Keyte, J (2014) The personal histories of things: keeping and caring. In: Custodians of Home, Conference of the Centre for Studies of Home, 31 January 2014, Geffreye Museum, London, UK. Kidd, N (2014) Inflate automated. In: Test Run, Modern Art Oxford, Oxford, 2 May - 8 June 2014. Kidd, N (2014) A little patch of yellow wall [group exhibition]. The Lion and Lamb, Hoxton, London, 25 April - 17 May 2014. Kidd, N and Addison, Jo (2014) The Noticer: Live Resource. Lalic, M (2014) Bohemian green landscape painting (2011) & Sevres blue landscape painting (2004). In: Conversations around Marlow Moss, &Model, Leeds, UK, 12 June - 18 July 2014. Lalic, M (2014) Heavy metal? Galerie Renate Bender, Munich, 14 November 2014 - 17 January 2015. Lalic, M (2014) History painting. Purple (2013). In: Faszination farbe: monochrom, minimal, konkret. Internationale positionen, Kunsthaus Furstenfeldbruck, Germany, 3 October - 16 November 2014. Lalic, M (2014) Maria Lalic: artists talk. In: Curators Day, 9 October 2014, Royal Albert Memorial Museum and Art Gallery, Exeter..
Luzar, R (2014) 'Multiple signatures of subtraction.' Mnemoscape Magazine, 1 (Sep). pp. 144-159. Luzar, R and Kube, T (2014) Friendship / Mit gelassenheit. Künstlerhaus Dortmund, Germany, 13 August 2014. Marsden, K.J (2014) The New Forest National Park : seeing landscape differently. PhD thesis, Bath Spa University. Merron, J, Simpson, E, McKenzie, M and Harman, W.H (2014) Crime waves. In: Creative Sparks: Commons Launch Event, Bath Spa University, Bath, UK, 6 June 2014. Miller, Z (2014) The Contemporary Craft Festival. Bovey Tracey, Devon, 6-8 June 2014. Minott, P (2014) Animating Marinetti’s ‘Zang Tumb Tumb’ (1914) as a component of a public lecture. Minott, P (2014) Marinetti: the power and the fury. In: BLAST, 24 - 26 July 2014, Bath School of Art and Design, Sion Hill, Bath. Neudecker, M (2014) The Air Itself is One Vast Library (2010). 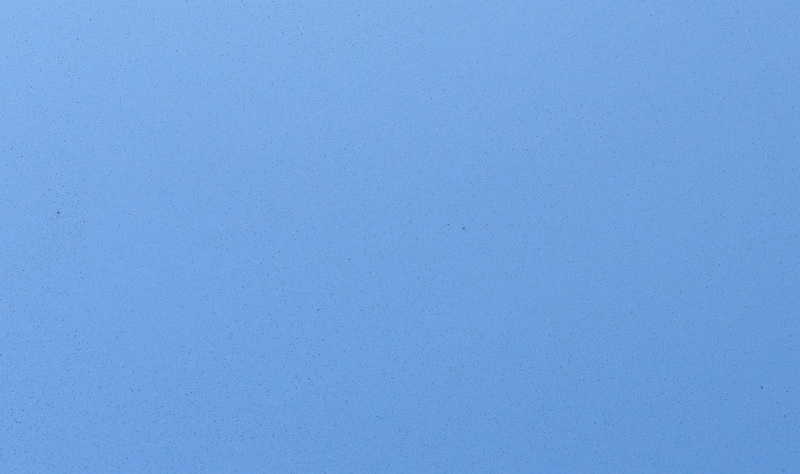 In: A Screaming Comes Across The Sky, Laboral, Gijon, Spain, 10 October 2014 - 5 April 2015. Neudecker, M (2014) Cook and Peary (2013). In: RE-THINK: Environment, National Maritime Museum, London, December 2014 – Spring 2015. Neudecker, M (2014) Invisible Dust Presents...For Now We See. Dana, Copenhagen, Denmark, 21 - 26 June 2014. Neudecker, M (2014) Some Things Happen All at Once. In: The Antarctic Pavillion Presents...Antarctopia: Venice Architecture Biennale, Fondaco Marcello, Venice, Italy, 7 June – 23 November 2014. Neudecker, M (2014) There Is Always Something More Important. 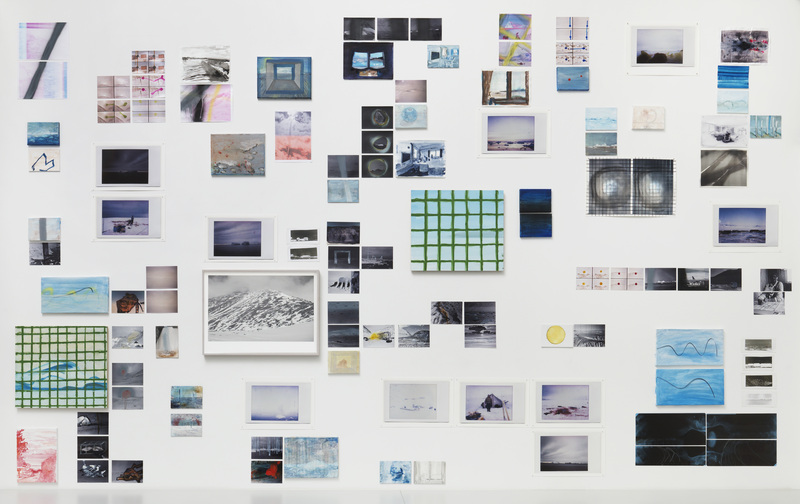 Galerie Barbara Thumm, Berlin, Germany, 14 March – 26 April 2014. Newton, M.W (2014) Mark making and melancholia in painting : a language for visual representation of the melancholic. PhD thesis, Bath Spa University. Parry-Williams, T (2014) Made-by-hand: [re]valuing traditional (Japanese) textile practices for contemporary design. In: Transition: Re-thinking Textiles and Surfaces, 26-27 November 2014, University of Huddersfield, UK. Pennie, M (2014) Sculpture making and teaching, or How I became such a peculiar person. Puzey, J M (2014) Hybrid dialogues, situational strategies: producing postcolonial visual culture. PhD thesis, Bath Spa University. Southall, A (2014) Optical projection (experimental). In: Ashburton Art Festival 2014, British Legion Hut, Ashburton, Devon, 26 - 27 September 2014. Sowden, T (2014) Click, swipe, download, share. In: Beyond the Book Symposium, 15 May 2014, Exeter University, UK. Sowden, T (2014) 'Click, swipe, download, share - digital artists’ publishing.' So Multiples, 6. pp. 37-51. ISSN 1961-9618 Please click the title to check availability. Sowden, T (2014) Fortynine coach seats travelling along the M4 (2003). In: RUKSSIAN Artists’ Books: Artists’ Books from the UK and Russia, Tsaritsyno State Historical, Architectural, Art and Landscape Museum-Reserve, Moscow, Russia, March - May 2014 & August – September 2014. Sowden, T (2014) PAGE.PRINT.POST: 50 Years of Artist Books [group exhibition]. The Post Office Gallery, Federation University, Ballarat, Australia, 16 July - 9 August 2014. Sowden, T (2014) Tom Sowden: on book arts [blog post]. Artquest. Taylor, A (2014) Caesura. William Wright Artists Projects, Sydney, Australia, 31 July - 21 August 2014. Taylor, A (2014) Drawn together: artist as selector [curator]. 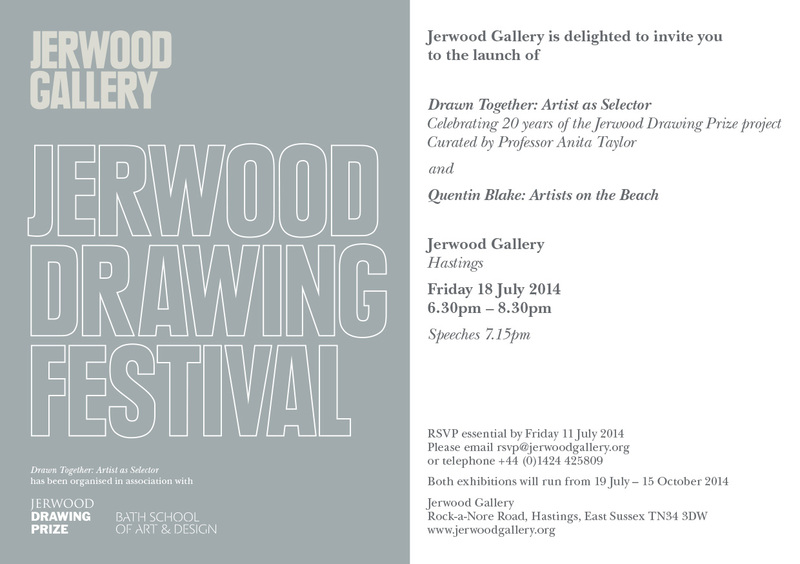 Jerwood Gallery, Hastings, 18 July - 15 October 2014. Taylor, A (2014) Jerwood Drawing Prize 2014. Jerwood Space, London, UK, 17 September - 26 October 2014. Taylor, A (2014) A place for drawing. In: Art School Educated, 11-12 September 2014, Tate Britain, London. Taylor, A, Cockayne, A, Kidd, N and Nicol, G (2014) Artists, makers, and museums in the 21st century. In: Futurkammer, 7 - 15 June 2014, The Holburne Museum, Bath. Taylor, A, Skipper, S and Neudecker, M (2014) In visible nature – a conversation. In: Contemporary Artists in the Environment, 16 May 2014, The Gallery at The Sidney Nolan Trust, Presteigne, Powys. Tooby, M (2014) Storio - store. In: Settlement, Spit and Sawdust Skatepark, Cafe and Artspace, Roath, Cardiff, 17 October 2014. Turk, G (2014) 100 years. In: Paper, Smac Gallery, Capetown, South Africa, 24 January - 9 March 2014. 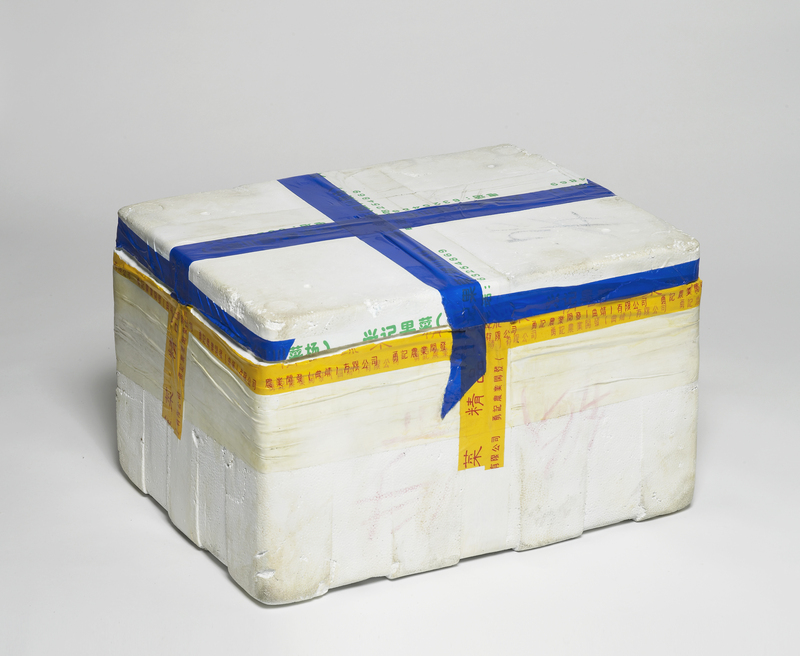 Turk, G (2014) A. Ben Brown Gallery, Hong Kong, China, 13 September - 15 November 2014. Turk, G (2014) Identity crisis (1994). In: Paparazzi! Photographers, Stars and Artists, Centre Pompidou Metz, France, 28 February - 9 June 2014. Turk, G (2014) ‘L'Âge d'Or (Green)’. Turk, G (2014) Liqueur D'Expédition. Christian Larsen, Stockholm, Sweden, 21 August - 28 September 2014. Turk, G (2014) Painted bronze III (2004). 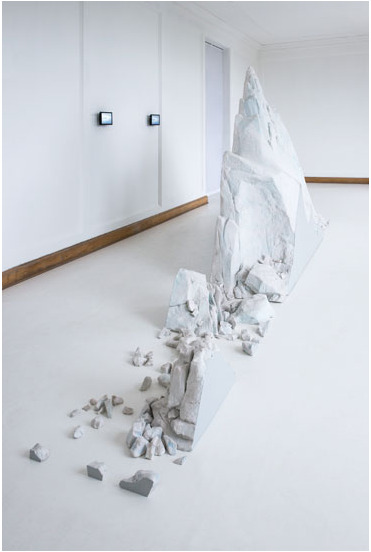 In: Sculpture Show, Patricia Low Contemporary, St. Moriz, Switzerland, 8 February - 16 March 2014. Turk, G (2014) Pense Bête. LARM Galleri, Copenhagen, Denmark, 11 April - 17 May 2014. Turk, G (2014) Pipe. In: Futurkammer, The Holburne Museum, Bath, 7 June - 15 June 2014. Turk, G (2014) Seven Billion Two Hundred and One Million Nine Hundred and Sixty-Four Thousand and Two Hundred and Thirty-Eight. The Bowes Museum, Barnard Castle, UK, 25 January - 21 April 2014. Turk, G (2014) Smiley cup (2003). 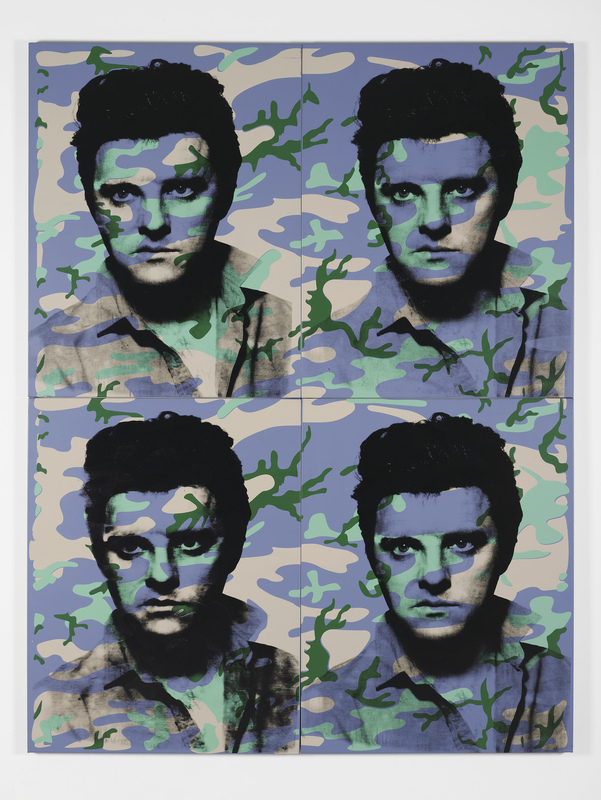 In: Lifelike, Phoenix Art Museum, Phoenix, USA, 5 February - 18 May 2014. Turk, G (2014) Vestige. Fondation Frances, Senlis, France, 7 February - 17 May 2014. Turk, G (2014) We Are One. New Art Centre Park & Gallery, Roche Court, UK, 8 November 2014 - 8 February 2015. Vaughan, S (2014) Seismic histories and rupture probabilities: photographic perspectives on Japanese earthquakes. In: Exploring Environmental Photography, 1-3 October 2014, Institute of Art History, Bern University. Whiting, M (2014) Lost [curator]. In: Lost, Salisbury Arts Centre, Wiltshire, UK, 21 August - 28 September 2014. Please click the title to check availability. Wilson, C (2014) Of and For [co-curator]. The Bank, Cass, London, UK, 15 January - 7 February 2014. Wilson, C.J.R (2014) One bag. In: Show RCA, Royal College of Art, London, UK, 18 - 29 June 2014. Wilson, C.J.R (2014) 'Where do you see yourself in twenty-five years? Conor Wilson.' In: Bell-Jones, G, ed. Annals of the twenty-ninth century: exhibition catalogue. Wysing Arts Centre/Endless Supply. Wood, J and Harrison, P (2014) 10 x 10 (2011) & Hundredweight (2003). In: Moving Space, OK Centre for Contemporary Art, Linz, Austria, 27 June-19 October 2014. Wood, J and Harrison, P (2014) 1000 songs. In: Conversations Sur L’Invisible, Galerie Martine Aboucaya, Paris, 31 January-11 April 2015. Wood, J and Harrison, P (2014) 66.86m (2003). In: A Book Between Two Stools, Boghossian Foundation, Villa Empain, Brussels, 1 March-7 September 2014. Wood, J and Harrison, P (2014) In some film. 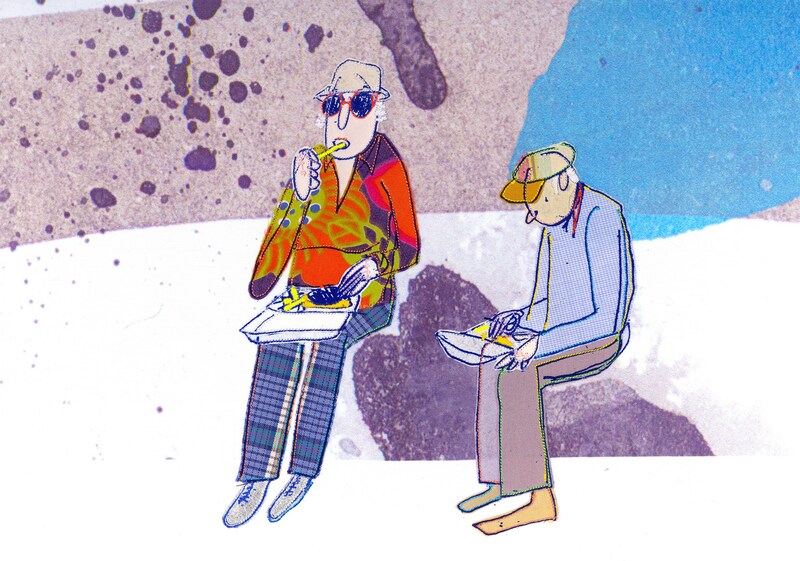 In: Site Festival, SVA (Stroud Valleys Artspace), Stroud, 10-25 May 2014. Wood, J and Harrison, P (2014) John Wood and Paul Harrison – Some Things are Measured. Galerie Martine Aboucaya, Paris, 30 October-20 December 2014. Wood, J and Harrison, P (2014) Pencil/line/eraser (2010) & Photocopier (2007) & 500 pieces of paper (2008). In: Pencil/Line/Eraser, Carroll / Fletcher, London, 1 August-13 September 2014. Wood, J and Harrison, P (2014) Six boxes (1997). In: Why Can’t Minimal, Justina M. Barnicke Gallery, Toronto, Canada, 2 September-19 October 2014. Wood, J and Harrison, P (2014) Table and chairs (2001) & 3D bucket (2001) & 66.86m (2003). In: Private Utopia: Contemporary Art from the British Council Collection, Toyko Station Gallery, Tokyo, Japan, 18 January-9 March 2014. Wood, J and Harrison, P (2014) Wood y Harrison: Cual Para Tal. Museo de Antioquia, Medellin, Columbia, 16 July-5 October 2014. Woods, C (2014) Monument: large lithographs from Harewood House. Mascalls Gallery, Kent, 8 March - 31 May 2014. This list was generated from ResearchSPAce on Tue Apr 23 20:13:16 2019 UTC.